Sting and Trudie Styler’s annual Rainforest Foundation Benefit. Bruce performs two tracks including Bryan Adams’ "Cuts Like A Knife" before joining an eclectic selection of performers on stage (Elton John, Lady Gaga, Sting, Shirley Bassey and Debbie Harry) for the final blowout – Journey’s "Don’t Stop Believin'". (The theme for the evening was "80s Nostalgia"). "Don't Stop Believin'" is a song by American rock band Journey, originally released as the second single from their seventh album Escape (1981). 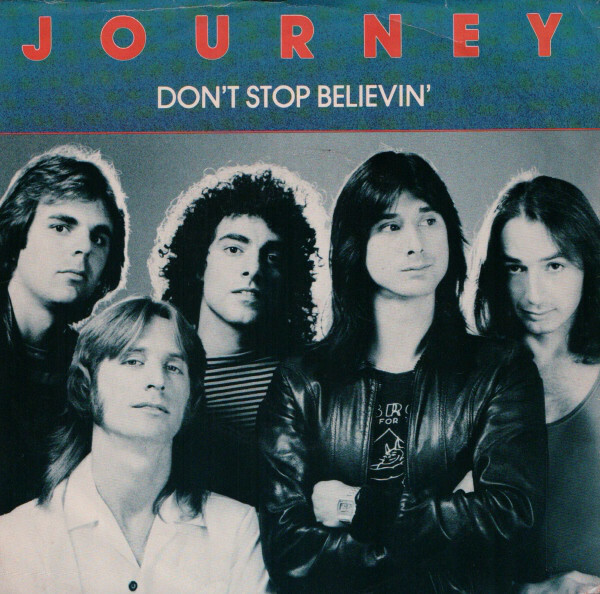 Mike DeGagne of AllMusic has described "Don't Stop Believin'" as a "perfect rock song" and an "anthem", featuring "one of the best opening keyboard riffs in rock." It is the best-selling digital track from the 20th century with over 7 million copies sold in the United States. While a majority of songs have a refrain that is repeated several times throughout the song, the true chorus to "Don't Stop Believin'" (as well as first mention of its title) is not heard until the end of the song, with only 0:50 left. The song's writers designated the musically similar sections before the chorus as the "pre-chorus." The title of the song came from something keyboardist Jonathan Cain's father frequently told him when he was a struggling musician living on Los Angeles' Sunset Boulevard ready to give up because he was not having success in the music industry. Each time he would call home in despair, his father would tell him, "Don't stop believing or you're done, dude." In 2007, the song gained press coverage and a sharp growth in popularity for its use in the famous final scene of HBO's The Sopranos series finale "Made in America."